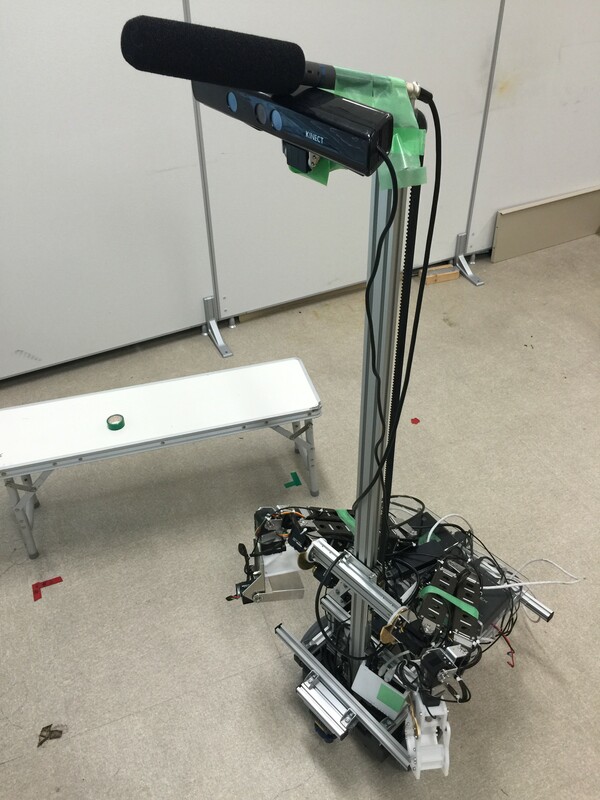 The robot, shown in the pictures on this page, is mainly composed of a commercial mobile robot, two self-produced manipulators, and a head part that is composed of a microphone and Microsoft Kinect. It is under construction. It has no name yet.